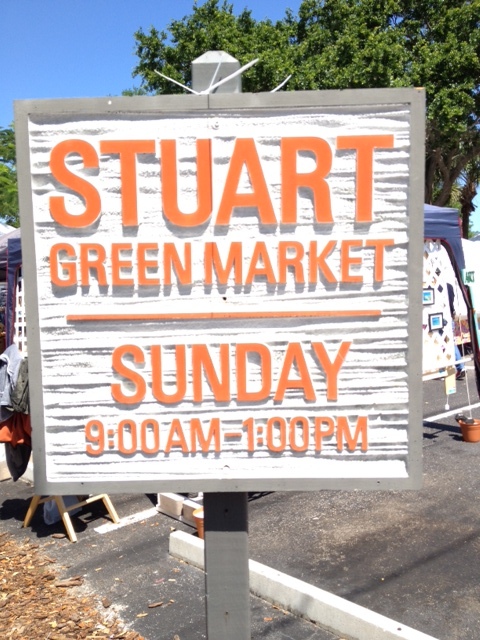 The Stuart Green Market takes places every Sunday in Downtown Stuart. Featuring top quality fresh produce, cut flowers (seasonal), honey, freshly-baked breads and pastries, hot sauces, handcrafted soaps and lotions, grass fed/local beef, poultry, and eggs, goat milk and cheeses, organic spice blends, artisan crafts and handmade jewelry, as well as a myriad of freshly prepared gourmet foods for breakfast and lunch – the Stuart Green Market is the area’s premier destination for the finest local goods our community has to offer. Come by to see what is offered this season, and meet our friendly market vendors!